Really. Think about it. What if they did? What if they were allowed to do what children do best, play? All day. What if they used their imagination every day? What if creativity was unconstrained? Able to be expressed whenever the feeling took hold? 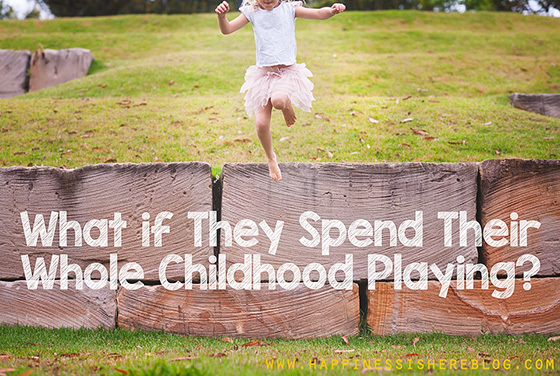 What if they spent whole days outside in unstructured play? What if they never completed one worksheet? What if they were never subjected to a standardized test? What if they let their interests guide them? What if they were free and in control of how they spent their days? Do you think that when the time came and there was something that needed to be learnt in a more formal manner, they wouldn’t be able to learn it because they hadn’t practiced for x amount of years? Do you remember what you learnt in high school? Probably not. But what if you got a sudden interest? Do you doubt your ability to learn it all? By yourself, doing your own research, and teaching yourself? I’m quite confident I could. I don’t want to because most of it was irrelevant to my life. But if I had the inclination I have no doubt I could learn anything I set my mind to. So why not just wait until then? Surely you don’t think that you can only learn certain things at a certain age and then the door is closed? You can learn at any age. If you do doubt this, then this article is a must read for you. Personally, I can’t think of a better way to spend a childhood than in play. You can’t get back years wasted learning pointless information that will never be useful to you. You can’t decide later that you want a different childhood for your children when it’s already over. You get one chance. But you can always learn anything at a later date, when it becomes relevant and useful to you. 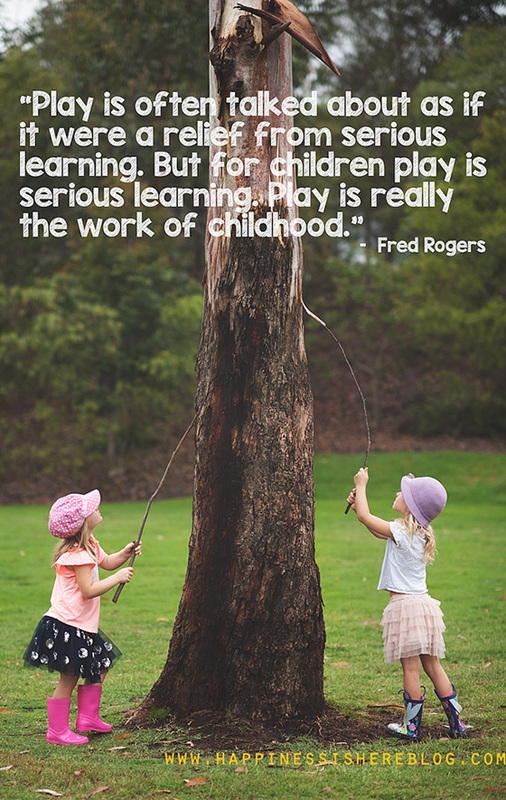 In any case, for children play IS learning. Just because you might not be able to identify it all or measure it, doesn’t mean it’s not there. If the worst that happens on this unschooling journey is that ‘all they do is play’, then I have nothing to worry about. In fact, that’s kind of what I’m aiming for. Absolutely! We are now seeing the consequences of not enough play time. I’d rather my kids have ‘too much’ (not that I think that’s a thing) than not enough! I wish someone would hold my hand and walk me through this uncertainness and lack of self belief and courage that I have of taking my kids out of school and doing what I feel I should’ve done from the start. You can do it Deniz! At first it is a big step to make, but once you see your kids flourishing all the doubt fades away. You can always just set out to try it for a year, if you love it keep doing it, but if it does not suit your family then school is always there. I have a feeling that you and your children will love it. Sending you a virtual cheer! I feel the same way, but I am feeling better after another mother pointed out that no one cares more about our children than we do. One of my children has dyslexia the other aspergers, and I feel like I just wouldn’t be able to provide the “special services” they can get in public school. But now I do think that they will be better off at home. Learning at their own pace. I think we can do it Deniz! Lots of parents are and they’re making it work, so can we. I also have a son who is dyslexic and I am also on the verge of taking this dive. I am in Howick. 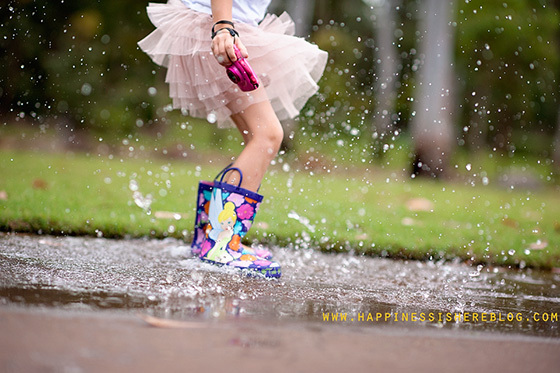 Are there any other ladies in Howick or surrounds who would maybe like to meet up occasionally to let our kids play together? That is what worries me is doing it alone and my son being lonely in the process. Does this also mean time spent on computer playing games, recording videos, etc as my child is happy to sit all day on her computer? I think you mean the right to attend school, all children gain an education, whether that be through school/home schooling/ unschooling/ life learning. They are just different routes to different kinds of education. I sounds like you are trying to suggest that children only get an education if they attend school? Thank you for this! When we first started homeschooling there was a big push for us to make sure that our kids stayed in line with the public school. Since I was uncertain, still new, had very little support, I did what I could to make sure they learned to read and write very early. If I could go back, I would have let them play a lot more and waited on formal teaching until they were older. Yes there is always time later isn’t there! School makes us believe there has to be a ‘schedule’ though. What about reading? My son is 10 and barely reading. My hubby is in a panic. Son is always asking us to read things for him instead of trying to read them himself. If we try to get him to read it himself, he gets upset and says forget it. I’m concerned about him being teased by peers. Enjoyed reading this, but finding it hard to agree 100% with as it no longer fits in our community. Imagined what a wonderful world it be if all the neighbourhood kids where off togther learning the true important things in life like 50 years ago! Hi Anna, I agree, it would be great to have a big gang of neighbourhood kids playing together. 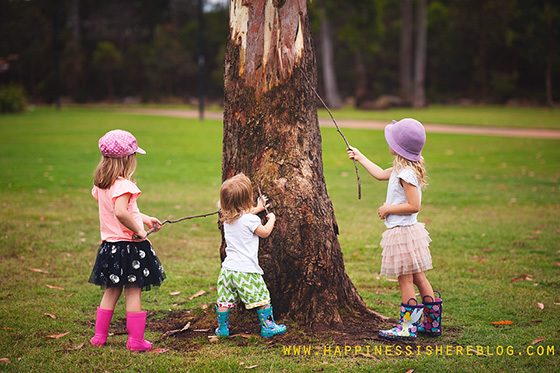 We are lucky in that we have found a great group of unschooling friends to the kids do get a lot of unstructured play time with other kids of all ages. Pingback: What if they spend their whole childhood playing? | OFF KLTR! I homeschooled all of my children and loved it as did they. Is there ever a time for school? How do we define ‘childhood’? When do our children progress from mostly play to more structure and academics…are these even necessary? I totally support play, play and more play but am wondering about the transition into adulthood, when and how? Apparently that is what they are doing with children in Finland which is leading the globe in math and science. Yes! No idea why we wouldn’t look to the countries doing it RIGHT and make changes. I used to teach 5th grade. It was the most frustrating job pushing students to do irrelevant work. Some of those kids had real passions and I encouraged them to spend their homework time on these. When I had my own kids, I chose to unschool. My teaching strategy was, “Hey, look at this!” and “Whatcha got?” I supplied them with Legos, art supplies, science stuff. One of my sons loved lizards so we did lots of reptile-related things. We never pushed him to “learn” anything. If anything, I saw myself as setting out a smorgasbord. It was much better than slopping out gruel as a lunch lady. As a child I was allowed to play three summer months out of the year and every afternoon after school without any structure. We lived on a large farm with many neighborhood kids and a large variety of animals to play with and land to explore. I was allowed to pick my own interests and my parents provided opportunities, but did not direct. It was horribly boring. It wasted my childhood. It did not prepare me for adulthood. I needed to be taught chores, lifeskills and something useful for obtaining a job. My parents thought I needed freedom until I was old enough to get a job. At 23 I was way behind my peers in lifeskills, and by then I did not have the resources within myself to adjust easily. Free play daily is important. So is hardwork and chores and being taught every day. Hi Momof2, I agree with you regarding hardwork and chores as I think learning discipline and grit earlier would’ve benefited me. When you mentioned ‘being taught every day’, did you mean formal education or homeschooling? Just curious as I’m interested in unschooling my only child but I’m not sure if I can handle it being a freelance project manager/illustrator with a side online business. Your viewpoints are very valuable to me because I’d rather listen to kids who have gone through the experience. PS. I hope you get to choose the career you like and train yourself. Our generation is lucky to have lots of free online resources. Funnily enough, i remember a great deal of what I learnt in high school. Probably because it is reinforced thought necessitating its application in later years; but not always. Sometimes a fragment just appears, a fleeting memory of 60 years ago when my chemistry teacher would apply some directed learning, no fun intended. I like play. I still play. My parents main concern was that I might hurt myself. Letting me loose in the shed with a bunch of tools was a formula for disaster. Letting me loose in the streets was tantamount to terrorism. “Don’t come crying to me if you hurt yourself” was a common cry as I headed for the creek or park for ‘free play’. I could have done with some directions from an adult. These days I’m the irresponsible one when it comes to the education of my great grand daughter. We play. Other responsible adults warn me I am developing poor learning habits in her. “You’ll be sorry”, they say. “I’ll be dead” I reply. ” you can clean up my mess”. Funnily enough, I don’t remember much ‘play based’ learning or whatever you want to call it. There was a lot of incidental stuff going on. Watching my Old Man sharpen a saw or stirring the cake mix for my mother in the hope that I would get first dibs at the bowl inspired me and, even to this day, ‘learnt’ me a few useful things I still use. There are many ways of learning; as many as there are people to learn from and people who will learn. To exclude one methodology for the sake of another is probably foolhardy, lending to neglectful. It’s probably pretty cool to have a ‘new’ ideology. Trust me, it’s been done before. Different times; different names. Some days, looking at what is sprouted as innovative education these days, I wonder how I ever managed to learn anything. Then I might wonder if I ever reached my potential. Next comes the feeling of insecurity associated with young people who must be a whole lot smarter than I. I get depressed. Then again, there is some compensation. I taught, yes, taught, a great deal of them over my 50 years of teaching. Did I allow them to play; not too often, least they would have eaten, broken, or stole something they shouldn’t have. That’s fine until about age 10, and then you really should consider directing their learning towards the basics (“The 4 r’s” as it were). That doesn’t have a healthy portion of their day still be engrossed in play, but it does mean that an hour a day could be spent getting some basics started. Some things cannot just be “picked up” at the last minute before these children go to college, and I personally feel you are risking their potential for attending a higher education institution if they so choose to attend one someday. In all things there must be a moderation…there does come a time when I feel we can and should help our children gain the basics of an education. That doesn’t mean fill them with a gazillion useless facts…I’m talking bare-bones basics appropriate for their age based on what same-age peers are learning. Many subjects scaffold and are suggested for a certain age range for a reason, because the growing mind is ready to assimilate the information and add it to their evolving scaffold. You assume that play is not learning and that they have no desire to learn these things. Not true. My 7 year old can read and write and do all the everyday mental math she needs. Life is a great teacher. Lovely article! My granddaughter was taken out of mainstream schooling in the UK 4 years ago. Homeschooling simply wasn’t an option, but she & has been a pupil at AS Neil’s Summerhill School in Suffolk since then. She’s now 15 and has spent most of her time playing, singing and learning to play the guitar and growing up at her own pace. Lessons are timetabled, but attendance is optional. She knows that she will need some basic qualifications in order to pursue the career she wants, and has recently begun attending lessons in the subjects she needs. From being a very unhappy little girl at age 11, she has turned into a joyful, confident individual, capable of holding her own in the world & making decisions with wisdom beyond her years. Loved this post! We’ve only been officially homeschooling for the past two yrs but this yr our 9 yr old has been very resistant of anything school related. When asked for her input as to what she want/would like to do for homeschooling, she always states she’d rather just play instead of all the “dumb” workbooks..lol. Our 5 yr old son on the other hand, has never had formal schooling and because of his high energy and total disinterest of anything “school” related we’ve just let him learn from play/tv/videos/read aloud, etc. It’s taken me two yrs to realize that what interested me about homeschooling to begin with…unschooling to be exact, is what we’ve ended up doing now. Follow your instincts and your children’s cues. They know as individuals know what it is that they want to learn when they want to learn it. Loved your article. I think it also applies to older children taking what is known as a “gap year” before they go to college if that is what they intend to do. I started homeschooling late in the game…..and my first born graduated from PS. We got SO much flack for allowing our eldest to take this “gap” year to really ponder what she wanted to pursue. She also is a competitive Irish dancer so it has been nice to have an additional year to do something she really loves. Time to…..well…..”play”…..in a sense. To be free to pursue things she could not fully while balancing a crazy PS schedule with AP classes etc…..We had one relative so angry with our decision she has not talked to us in a year and a half. To our way of thinking life is so short. It speeds by….what is one more year with your family…those that love you best…in the scheme of an entire life? A blessing…..that’s what it’s been. Hi been following you a while, can I ask will your children do qualifications that may be required to get a job or if they wanted to go to university and further study their interest? I am a parent caught in a world of school I’m not so sure about it. I work in a Forest School and believe very strongly that children need to play a lot longer than the British education system allows them to. Hi Helen. It depends what they want to do. If they are want to go to university I’m sure they’ll be motivated to achieve whatever qualifications they need. Absolutely, kids should play more! I am homeschooling my girls for that reason. That said, I was homeschooled as a child and I know a few of the children who received little formal instruction. They have grown into adults who never went to college, have a hard time finding employment, and suffer from low self esteem. So, yes…more play…but with BALANCE.